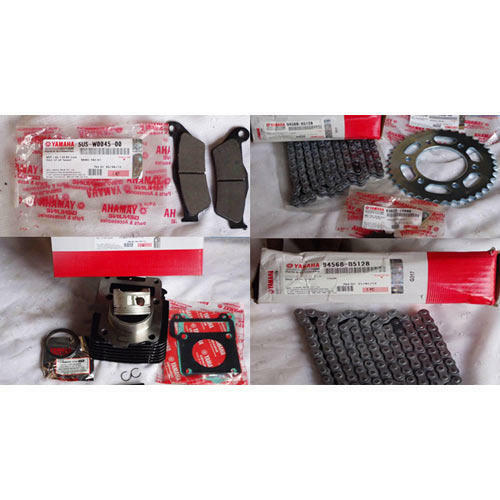 Prominent & Leading Exporter from Mumbai, we offer yamaha spare parts kit, yamaha brake pad kit, yamaha chain sprocket kit and yamaha cylinder block kit. 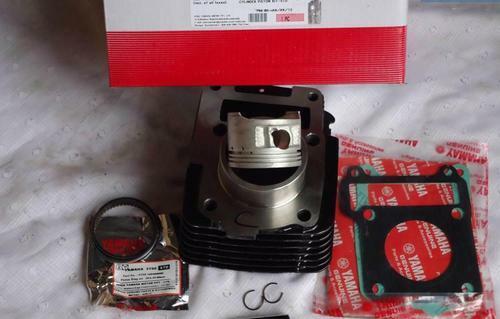 Being a totally customer based firm; we are busy in offering a wide range of Yamaha Spare Parts Kit. Our spare parts have excellent usage in the automobile industry & have user friendly designs. These Yamaha spare parts are designed with the precision at vendor’s “YAMAHA” end with the proper usage of unfinished material. 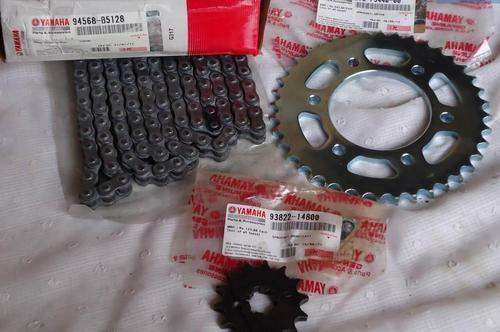 Along with that, these Yamaha spare parts are provided to our clients in various technical provisions as our customers want from us. With the excellent support of our brilliant professionals, we are engaged in presenting Brake Pad Kit. The provided kit is manufactured using premium quality material and latest techniques at our vendor’s end. Additionally, our provided kit is processed adhering to industry standards and quality norms. The offered kit is examined on set quality parameter in order to deliver better range to the clients. Also, this kit is made available in various colors, sizes and shapes. A flourishing enterprise in this domain, engaged in presenting a wide range of Chain Sprocket Kit. At our vendor’s end, this kit can be built and developed according to the specification provided by the clients. Moreover, clients can opt for different dimensions according to the specific business needs. In addition, kit offered by us has gained highly appreciation among our clients. Besides, clients can avail the kit from us at cost effective rates. Counted amongst the leading entities of this domain, we are betrothed in offering Cylinder Block Kit. At our vendor’s end, the provided kit is manufactured using premium quality material and latest techniques. Also, the offered kit is examined on set quality parameters such as long working life, vibration and accuracy in order to deliver better range to the clients. Moreover, this kit is made available in various sizes and shapes. Besides, clients can avail the kit from us at cost effective rates. Looking for “Yamaha Spare Parts”?